Carlsbad is a weekend destination for food lovers - Carlsbad restaurants serve American classics, innovative dishes and everything in between. After a morning of exploration, have a casual lunch where you will get to sample superb seafood, sushi, Mexican food or burgers. End the day with a romantic celebration at one of the elegant restaurants serving Californian, fine French or Italian dishes. 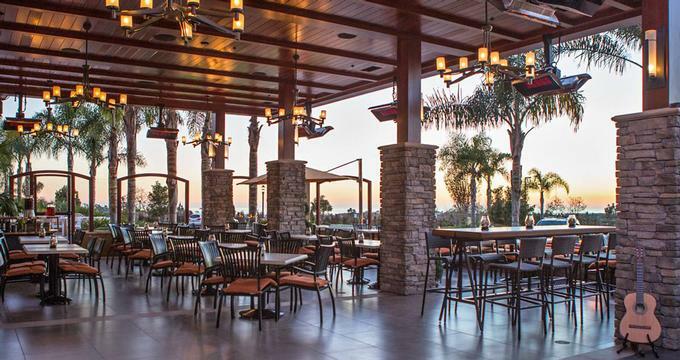 Boasting picturesque views of the coastline from the cliff top of Carlsbad’s highest point, TWENTY/20 is the Sheraton Carlsbad Resort & Spa’s signature restaurant and offers a delightful dining experience. The stylish restaurant features several seating options, from an upscale dining room and covered outdoor terrace to an intimate bar and elegant lounge with custom-designed fire and water features that create a comfortable ambiance. Executive Chef Julian Quinones presents a menu of farm-to-coast cuisine inspired by the fresh flavors of the California coast and made with organic and locally sourced ingredients for breakfast, lunch and dinner. From starters and flatbreads to delectable main courses that include pan roasted salmon and pork Osso Bucco, a wide range of dishes cater to every taste. Wine lovers can choose from more than 100 selections by the bottle and 30 wines by the glass from an extensive wine list featuring vintages from around the world, as well as a selection of barrel-aged cocktails and margaritas. 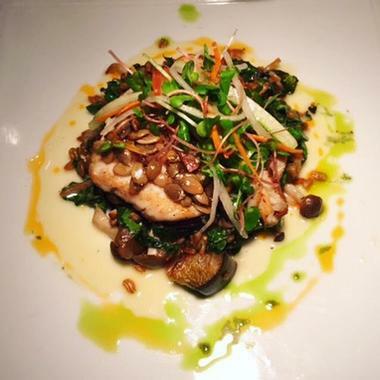 West Steak and Seafood is an intimate fine dining restaurant that has fast become one of Carlsbad’s favored dining venues since opening in 2005. The restaurant’s creative culinary team presents a healthy farm-to-table menu of the highest quality prime steaks, seafood, fresh salads and vegetables from the West Farm and decadent desserts, all served in a casual and relaxed ambiance. Starters include baked blue crab cakes, seared jumbo scallops and crispy lobster spring rolls. Composed plates feature Big Eye tuna from Hawaii, oven roasted chicken and a surf-and-turf plate of fresh Maine lobster and filet mignon. West Steak and Seafood is one of the best Carlsbad CA restaurants and boasts a full-service bar that serves an extensive wine list of wines by the glass, half-bottle, and full bottle, as well as sparkling wines from around the world. 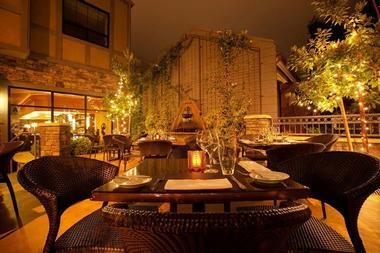 Paon Restaurant serves fine French cuisine with California influences in an elegant Art Deco-style setting. Soft lighting, tones of cream and gold and beautiful artworks set the scene for an intimate dining experience and knowledgeable and attentive staff caters to every need. Paon's menu features seasonal, locally grown, organic produce for the palates of gourmands and food lovers, with dishes such as Traditional French Escargot Bourguignon in garlic butter, Veal Sweet Breads in a black truffle sauce, Seared Rare Hawaiian Yellowfin Tuna served with Truffle Vinaigrette and Sun Choke Purée, and Pan Roasted Pheasant served with Vegetable Truffle Risotto in a Madeira Sauce. A stylish lounge and relaxing outdoor patio are ideal spots for enjoying a pre-dinner cocktail or post-dinner drink from the extensive wine list, and a private dining room is available for special occasions or large group gatherings. Bistro West is a casual eatery that serves a seasonally-evolving menu of sustainable cuisine made from locally sourced ingredients and produce. Featuring contemporary décor with leather banquettes, wooden tables, and soft, Art Deco-style lighting, Bistro West offers diners an exceptional dining experience of farm-to-table fare, using produce from the chef-driven West Farm off El Camino Real in Carlsbad. Bistro West serves a variety of menus for lunch, brunch, dinner, and a bistro-to-go menu, which feature favorites such as chicken pot pie and filet mignon beef stroganoff, as well as a range of classics such as hand-made pizzas, pasta, and burgers. A selective wine list offers Californian and European wines, a selection of after-dinner cocktails, cognacs, and brandies, ports and dessert wines. Beach Plum Kitchen is a breakfast and lunch restaurant that serves organic fare made from locally and regionally sourced ingredients in a contemporary and casual setting. Meals include a range of egg plates and omelets, such as New York steak and eggs and Carnitas and Eggs, while the griddle produces delights such as pancakes, waffles, and French toast. Healthier options include muesli and yogurt, homemade granola, quinoa and coconut porridge and smoked salmon bagels. The lunch boasts an array of sandwiches, burritos, burgers and lobster rolls, as well as salads and specials of clam chowder, chicken and bean chili and pork belly hash. More Vacation ideas: Best Things to Do in Kansas City. Fusing the fresh flavors of the ocean with traditions of the past, Blue Ocean Robata & Sushi Bar offers diners an unparalleled seafood experience. 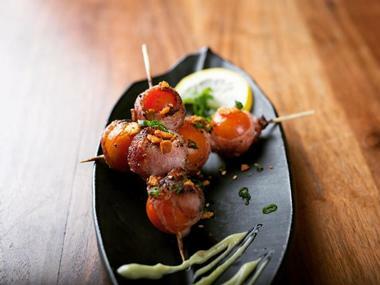 Featuring a traditional robata grill, a cooking style that originated centuries ago when Japanese fishermen needed a way to cook on their boats, Blue Ocean presents a menu of fresh seafood and sushi, signature cocktails, craft beers, wine, and spirits. Starters include salt and pepper calamari, crispy soft shell crab and chilled oysters. The robata grill presents hot plates of salmon steak, grilled octopus, miso-glazed black cod, and five-spice duck tacos. Fresh, made-to-order sushi and sashimi can be enjoyed at the sushi bar while a special three-course set menu features soups and salad, assorted sashimi, fish and vegetable stir-fry. 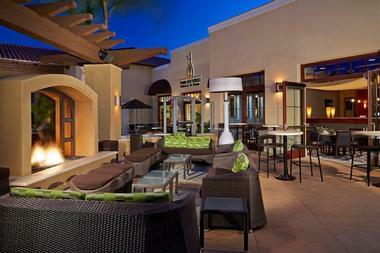 Fun destinations: Arizona Resorts & Vacations. Las Olas is a vibrant and inviting restaurant in the heart of old Carlsbad that serves authentic and traditional Mexican food, margaritas, and cocktails. Las Olas offers an array of delicious Mexican fare, ranging from Build-Your-Own-Taco-Platters with fillings like scallops, sautéed fish, chicken, carnitas and vegetables, stuffed flame-roasted Poblano chilies, Mahi Mahi or shrimp to traditional delights like grilled vegetable enchiladas, carne asada burritos, and crispy fried beef, chicken tacos or famous fish tacos. 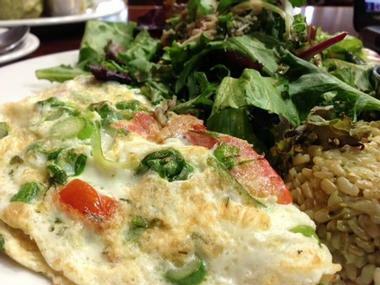 Fresh food is prepared daily using locally sourced organic ingredients, fresh herbs, and spices. 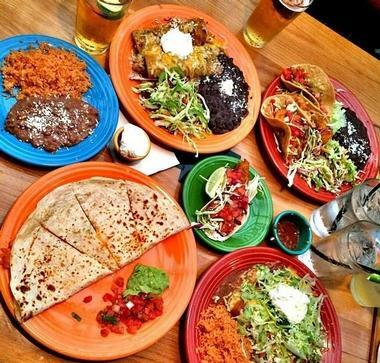 Pair cuisine with local craft beers and sublime margaritas that can be found at all three San Diego locations. Chandler’s is an elegant restaurant located on Cape Rey that serves delicious simply prepared food in a relaxed California coastal-style ambiance. Boasting a stylish West Coast theme with casual indoor and outdoor dining spaces, the seasonal menu features ‘New American’ cuisine made from fresh locally sourced ingredients, seafood, and farm produce. Diners can enjoy a range of food from full American and continental breakfasts to fresh salads, soups and sandwiches for lunch and succulent steaks, salmon, chicken and swordfish for dinner. 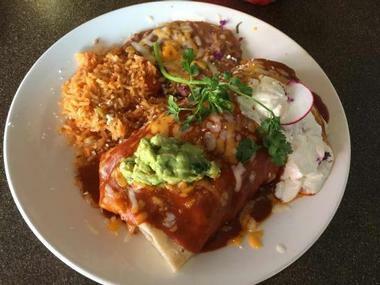 Miguel’s Cocina is a haven for Mexican food and is home to some of the most authentic Mexican flavors north of the border. Opened in 1982 through a love of traditional regional cooking, Miguel’s menu captures the true spirit of Mexico with classics such as sizzling sirloin fajitas, Sonoran grilled swordfish tacos and spicy, rich chicken mole, as well as artisan cuisine of fresh salsa, handmade tortillas, and decadent jalapeño white sauce. Vibrant décor and signature friendly service accompany the enticing menu which ca be enjoyed at six locations all around the country, including on Avenida Encinas in Carlsbad. Day trip ideas: Things to Do in Palm Springs. Craft Burger is casual, family-friendly burger bar that serves a range of burgers built with local farm-to-table ingredients, craft beers, and delicious homemade custard. Burgers are made up with 100% natural Angus beef, free-range chicken, seared wild caught tuna stacked onto a freshly baked brioche bun and accompanied by an array of crispy vegetables, salads, and other sides. Tuck into a Cali Craft Burger topped with avocado, Monterey jack, onions, and garlic aioli or a Bleu Craft with onion confit and blue cheese, along with fresh salads, thick cut fries with a variety of sauces and homemade frozen custard to finish. Drinks include wine by the glass, locally brewed kombucha, craft sodas, and bottled tea. Based in the luxurious Park Hyatt Aviara Resort, California Bistro blends the comfort and style of a modern-day bistro with the market-fresh farm-to-table cuisine typical of Southern California to create an unrivaled dining experience. Featuring a menu that celebrates seasonality, simple, beautifully prepared dishes are created from fresh, organic ingredients, such as seafood ceviche, crispy calamari, pan-seared salmon, smoked chicken quesadillas, and grilled shrimp Panzanella. Desserts include Tahitian Vanilla Crème Brulee, Old Fashioned Chocolate Cake, New York Style Cheesecake and a range of ports. California Bistro offers a delicious breakfast buffet and an innovative à la carte menu for breakfast and lunch, as well as a Bloody Mary Brunch Buffet every Sunday. 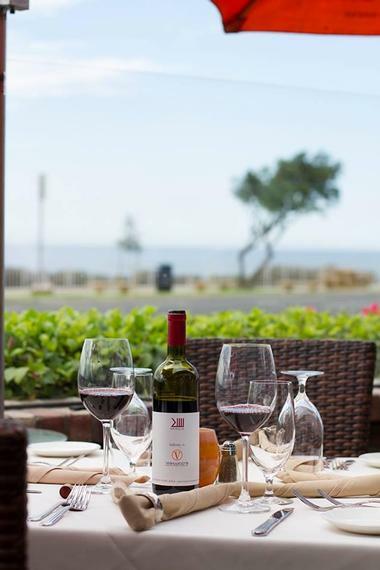 Boasting breath-taking views of the Pacific Ocean and an Old World Italian elegance, The Seafood & Steakhouse is part of the Vigilucci’s Group, serving certified prime steaks and fresh seafood alongside an award-winning wine list. The decadent private dining room is spacious and light with an elegant charm while tones of cream and beige and crisply set tables present an air of tranquility. The aesthetic appeal is continued in the menu with starters of gourmet antipasti platters, Primi Piatti of fresh salads and Secondi Piatti of pistachio-herb crusted New Zealand rack of lamb, seafood cioppino, and sesame-crusted sashimi grade seared ahi tuna. Dolce offers Italian-inspired desserts such as tiramisu and gourmet gelato while the notable wine list presents wines from Italy, California and other countries renowned for their superb wines. Dubbed a ‘French Izakaya’ (Japanese for blending food and drink), The Land & Water Company is a cool, inviting dining space that serves a seasonal menu of locally sourced organic dishes in a stylish, yet casual environment. 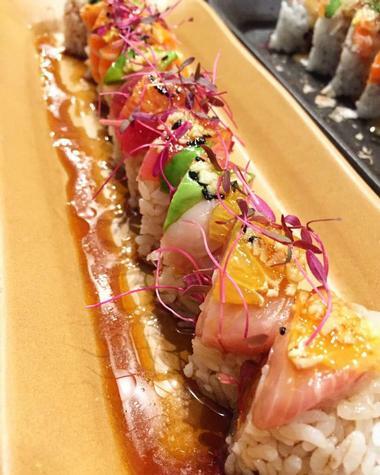 Offering lunch, dinner, happy hour and late night menus, The Land & Water Company focuses on fresh, 100% sustainable cuisine from the land and water with sushi and sashimi platters, kimchi and tsukemono, a variety of salads, seafood plates of yellowfin tuna, shrimp tempura and salmon and umami bowls. Desserts include orange sherbet with white chocolate mousse and ginger syrup, black and blueberry pie with crème Fraiche ice cream and cacao delicè in cognac banana cream. Craft beers and signature cocktails, freshly squeezed juices and spirit mixes are made to order daily. More ideas: 22 Best Things to Do in Carlsbad. Board & Brew serves a simple, straightforward menu of quality sandwiches and craft beer, made from fresh local ingredients and served by friendly, welcoming staff. Boasting a relaxed, beach atmosphere and casual, laid-back ambiance, Board & Brew presents a menu of delicious sandwiches with toppings such as tuna, pastrami, chicken, turkey breast and fresh vegetables, homemade soups and salads, and specials from the grill. A range of craft beer is available to accompany the food and Board & Brew’s menu can be enjoyed on site or ordered online. More restaurants: 15 Must-Try Lunch & Dessert Spots in San Diego. The Naked Café is all about healthy food and eating and serves a menu of simple cuisine created from whole foods and incredible flavors. Balancing wholesome grains and powerful herbs and spices with fresh, locally sourced ingredients, environmentally conscious and globally influenced dishes are inspired from foods around the world, such as coconut French toast, homemade pancakes, quesadillas, wraps and tacos, salads, soups, and sandwiches. A range of beverages is on offer, from 100% organic Fair Trade coffee, teas, smoothies, and freshly squeezed juices, to local beers and champagne cocktails.